November 1879, the Agricultural Hall, London, the venue of the Six-day “Go As You Please Contest” or “Wobbles”. The aim – to walk or run as far as possible around a track over six days. Simple. Captain Erskine Chadwick and Charles Darrell, both experienced competitors, are the main draw for spectators and, more importantly, gamblers, but there are many other amateurs with their eyes on the prize. 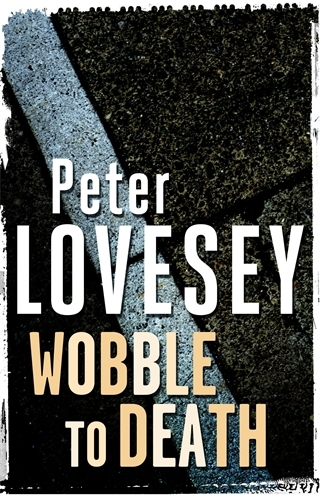 Peter Lovesey has written over thirty detective novels and this was the very first one. In fact the eight Sergeant Cribb books are the first eight crime novels that he wrote. I reviewed the sixth book, A Case Of Spirits, a while ago and really enjoyed it. I’ve had Wobble To Death sitting on my Kindle for a while and when I needed a quick read to plug a gap in my Readathon attempt – the remaining two books were in a different country at the time – I figured that this was a good one to pick. The pedestrianism was real, by the way. I’d never heard of it either, but the author has picked a lovely bit of historical trivia to set his mystery around. The book is broken up into the six days of the race with, needless to say, Cribb unmasking the culprit at the denouement of the competition. The race is detailed nicely with the favourites vying against the rest of the field, while all the time an odd little competitor rises slowly through the ranks. It’s a cleverly constructed tale, holding the reader’s attention throughout. The murderer is unmasked via logic, rather than random guesswork, and there’s enough there for the reader to deduce the villain without being obvious, with a lovely last page explaining why Cribb didn’t reveal the killer earlier. And it’s only a couple of quid as an ebook. I’ve had some ups and downs with Peter Lovesey’s work, but this is an excellent mystery, well worth your time. Highly Recommended. This review isn’t part of my attempt at Readathon UK for the school where I work – ten books between 6th Feb and 5th March, but I had to announce them in advance. But consider it Book Eleven if you like – Books Nine and Ten are on their way. If you want to make a donation to the children’s charities that they support, then please visit their Just Giving page. It’s been forever since I read this one–back in the 80s. I thoroughly enjoyed the books in the series that I was able to get my hands on then. My favorite was actually Abracadaver.